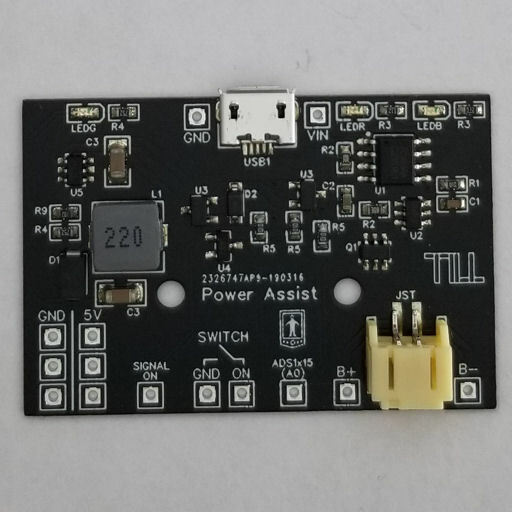 The Power Assist - Basic board enables charging for your 3.7V lithium polymer (LiPo) battery and boosts the output to 5V for your Raspberry Pi and other accessories. It includes a MOSFET switch that can provide safe shutdown functionality. You'll need to provide your own physical power switch. The board is also designed to fit into the Game Boy Zero cartridge shell (available here), exposing the microUSB port for easy charging and displaying of the LED indicators.